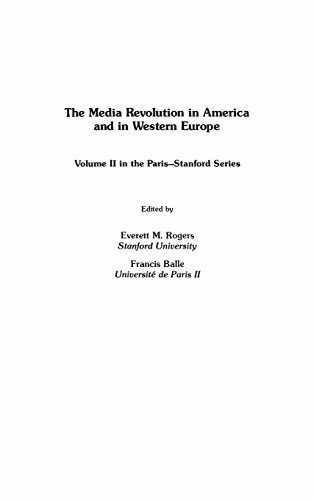 9780893912581 | Praeger Pub Text, January 1, 1985, cover price $84.00 | About this edition: This step is a step toward greater internationalization of mass communication research. 9780739124376 | Lexington Books, July 30, 2008, cover price $90.00 | About this edition: Over the past 50 years, the influence of visuals has impacted society with greater frequency. 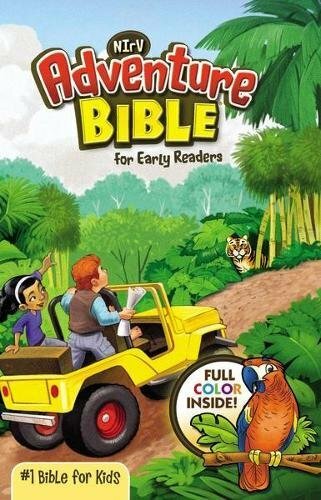 9780739124383 | 1 edition (Lexington Books, January 30, 2010), cover price $36.99 | About this edition: Over the past 50 years, the influence of visuals has impacted society with greater frequency. 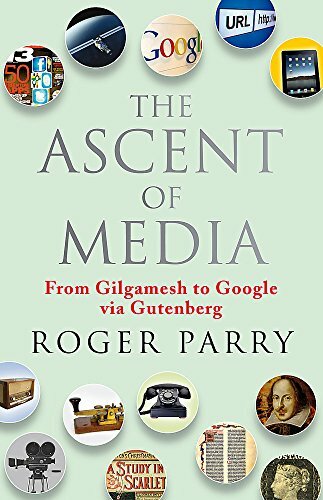 9780745644943 | 3 edition (Polity Pr, February 15, 2010), cover price $79.95 | About this edition: Written by two leading social and cultural historians, the first two editions of A Social History of the Media became classic textbooks, providing a masterful overview of communication media and of the social and cultural contexts within which they emerged and evolved over time. 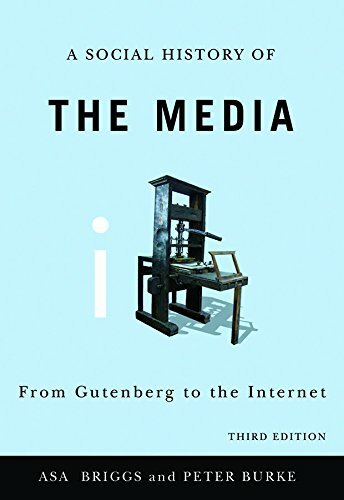 9780745635118 | 2 edition (Polity Pr, July 29, 2005), cover price $87.95 | About this edition: Written by two leading social and cultural historians, the first edition of A Social History of the Media has become a classic textbook, providing a masterful overview of communication media and of the social and cultural contexts within which they emerged and evolved over time. 9780745623740 | Polity Pr, February 1, 2001, cover price $66.95 | About this edition: Written by two leading social and cultural historians, A Social History of the Media provides a masterful overview of communication media and of the social and cultural contexts within which they emerged and evolved over time. 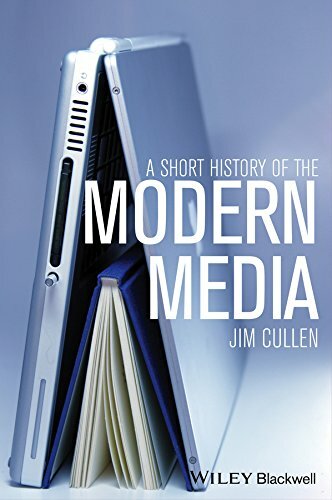 9780745635125 | 2 edition (Polity Pr, July 29, 2005), cover price $29.95 | About this edition: Written by two leading social and cultural historians, the first edition of A Social History of the Media has become a classic textbook, providing a masterful overview of communication media and of the social and cultural contexts within which they emerged and evolved over time. 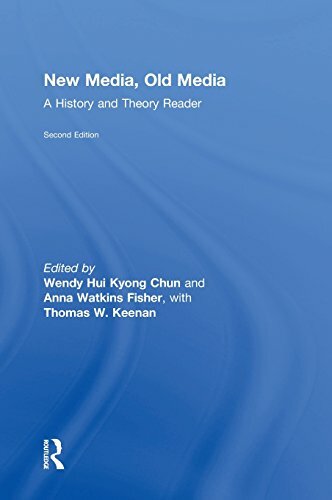 9780745623757 | Polity Pr, December 1, 2001, cover price $29.95 | About this edition: Written by two leading social and cultural historians, A Social History of the Media provides a masterful overview of communication media and of the social and cultural contexts within which they emerged and evolved over time. 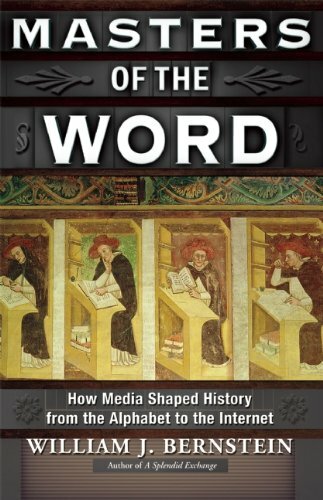 9781405179539 | Blackwell Pub, May 3, 2011, cover price $109.95 | About this edition: Journalism Today: A Themed History provides a cultural approach to journalism's history through the exploration of overarching concepts, as opposed to a typical chronological overview. 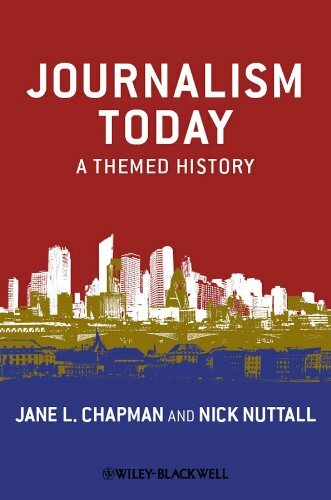 9781405179522 | Blackwell Pub, May 10, 2011, cover price $54.95 | About this edition: Journalism Today: A Themed History provides a cultural approach to journalism's history through the exploration of overarching concepts, as opposed to a typical chronological overview. 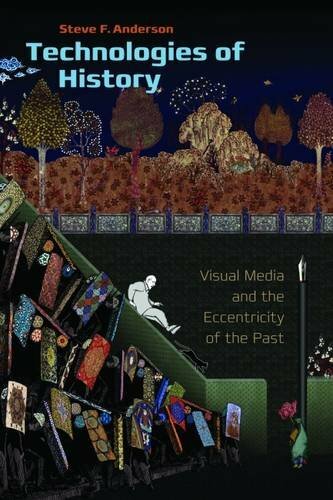 9781584659013 | Dartmouth College, April 12, 2011, cover price $85.00 | About this edition: Technologies of History is an engrossing and innovative consideration of how history is constructed today, exploring our most basic relationship to history and the diverse contributions of visual and computational media to conceptions of the past. 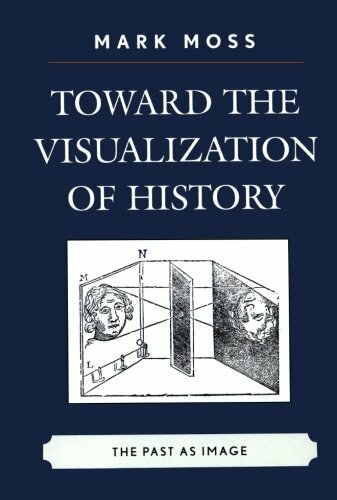 9781611680034 | Dartmouth College, April 12, 2011, cover price $35.00 | About this edition: Technologies of History is an engrossing and innovative consideration of how history is constructed today, exploring our most basic relationship to history and the diverse contributions of visual and computational media to conceptions of the past. 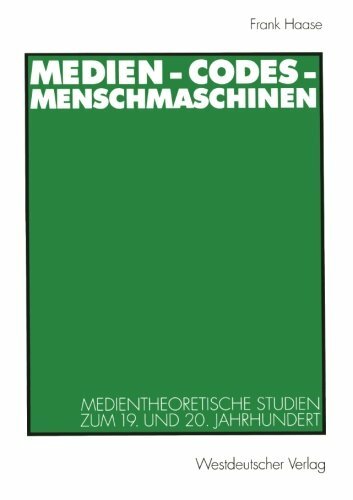 9783531133577 | Springer Verlag, April 8, 2012, cover price $69.99 | About this edition: Ende des 18. 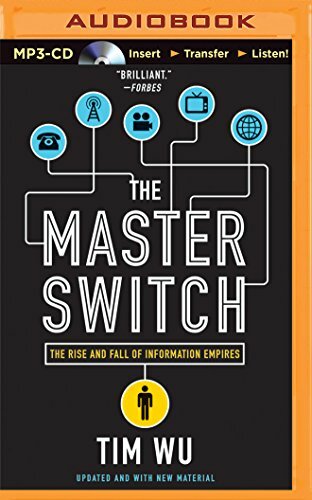 9780307390998 | Reprint edition (Vintage Books, November 29, 2011), cover price $15.95 | About this edition: A New Yorker and Fortune Best Book of the YearAnalyzing the strategic maneuvers of today’s great information powers–Apple, Google, and an eerily resurgent AT&T–Tim Wu uncovers a time-honored pattern in which invention begets industry and industry begets empire. 9781455883615 | Unabridged edition (Brilliance Audio, June 19, 2012), cover price $19.99 | About this edition: It is easy to forget that every development in the history of the American information industry―from the telephone to radio to film―once existed in an open and chaotic marketplace inhabited by entrepreneurs and utopians, just as the Internet does today. 9781455884391 | Mp3 una edition (Brilliance Audio, June 19, 2012), cover price $14.99 | About this edition: It is easy to forget that every development in the history of the American information industry—from the telephone to radio to film—once existed in an open and chaotic marketplace inhabited by entrepreneurs and utopians, just as the Internet does today. 9781455884001 | Unabridged edition (Brilliance Audio Lib Edn, June 19, 2012), cover price $49.97 | About this edition: It is easy to forget that every development in the history of the American information industry―from the telephone to radio to film―once existed in an open and chaotic marketplace inhabited by entrepreneurs and utopians, just as the Internet does today. 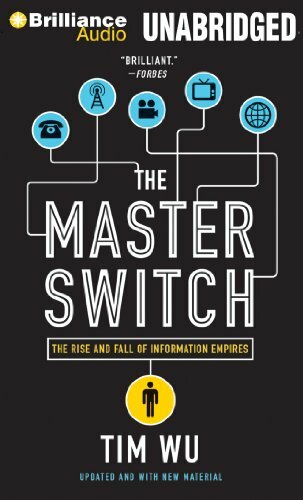 9781455884780, titled "The Master Switch: The Rise and Fall of Information Empires: Library Edition" | Mp3 una edition (Brilliance Audio Lib Edn, June 19, 2012), cover price $39.97 | About this edition: It is easy to forget that every development in the history of the American information industry ― from the telephone to radio to film ― once existed in an open and chaotic marketplace inhabited by entrepreneurs and utopians, just as the Internet does today. 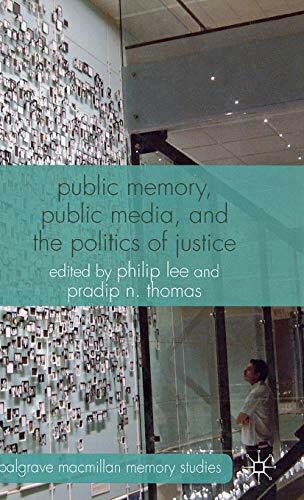 9780230354067 | Palgrave Macmillan, September 18, 2012, cover price $100.00 | About this edition: Exposing how memory is constructed and mediated in different societies, this collection explores particular contexts to identify links between the politics of memory, media representations and the politics of justice, questioning what we think we know and understand about recent history. 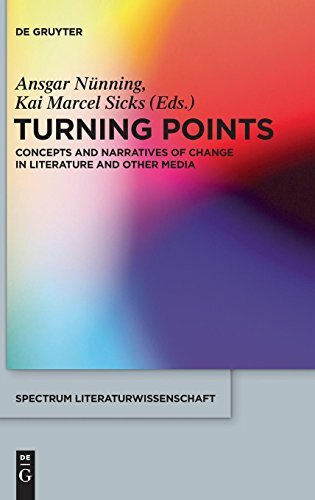 9783110296945 | Walter De Gruyter Inc, October 31, 2012, cover price $182.00 | About this edition: At times of crisis and revolution such as ours, diagnoses of crucial junctures and ruptures - 'turning points' - in the continuous flow of history are more prevalent than ever. 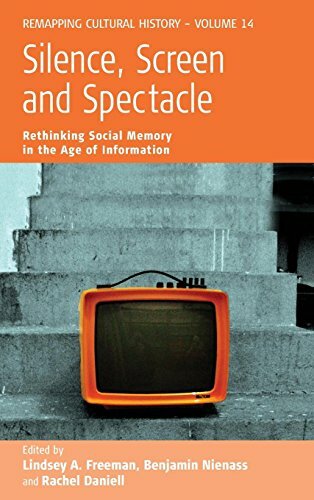 9781782382805 | Berghahn Books, March 15, 2014, cover price $90.00 | About this edition: In an age of information and new media the relationships between remembering and forgetting have changed. 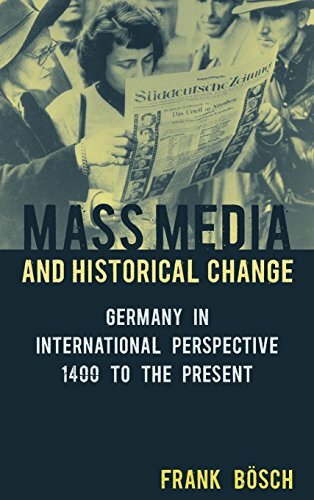 9781782386254, titled "Mass Media and Historical Change: Germany in International Perspective, 1400 to the Present" | Berghahn Books, May 31, 2015, cover price $85.00 | About this edition: Media influenced politics, culture, and everyday life long before the invention of the Internet. 9781501264368 | Mp3 una edition (Brilliance Audio, June 30, 2015), cover price $14.99 | About this edition: It is easy to forget that every development in the history of the American information industry—from the telephone to radio to film—once existed in an open and chaotic marketplace inhabited by entrepreneurs and utopians, just as the Internet does today. 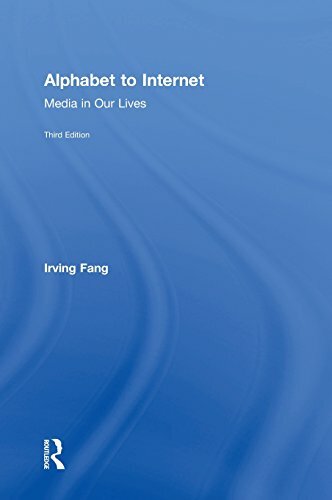 9781138021099 | 2 edition (Routledge, September 28, 2015), cover price $220.00 | About this edition: This much-expanded and updated second edition of New Media, Old Media brings together original and classic essays that explore the tensions of old and new in digital culture. 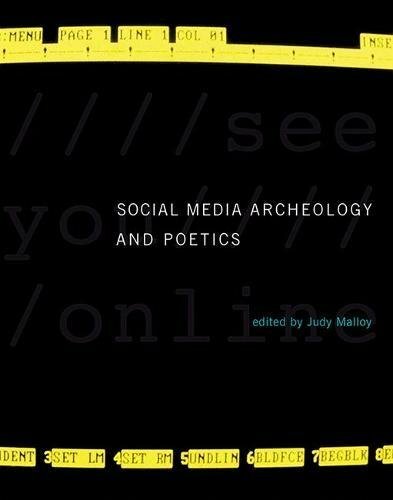 9781138021105 | 2 edition (Routledge, September 3, 2015), cover price $74.95 | About this edition: This much-expanded and updated second edition of New Media, Old Media brings together original and classic essays that explore the tensions of old and new in digital culture.